Although Kim and Craig have a school holiday, Harry makes Lucy work at the employment agency anyway, ruining a planned picnic. 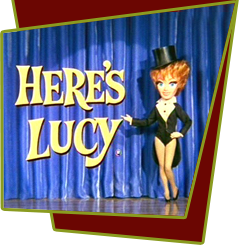 Lucy must make a bank deposit and deliver a summons to a woman at a department store. Naturally, she gets the two confused and manages to wreak havoc at the store.